Routing is a process by which an information, packet is sent from one location to another location. This process is performed by a hardware device called Router. Routers thus route traffic to all the networks in your Internet work. Routing information maintenance and verification- A way of verifying that the known paths to destination are valid and are the most current. Static routing - Network Administrator Configures Information About Remote Network Manually. they are used to reduce overhead and for security .this types of routing is ideal for small networks. Administrator manually update static route entry, whenever an internet work topology requires a change or during link failure. 1. No overhead on the router C.P.U. 2. No Bandwidth usage between Routers. 3. High security (because administrator only allows routing to certain networks). 1. Administrator needs to understand Internet work carefully and how each router is connected to configure the routes correctly. 2. If one additional network is added to the already existing network, the administrator must add a router to it on all routers. 3. It is not feasible in large networks because it would be a full-time job. Administrative distance-By default static routes have an administrative distance of 1 .You can change the default value by adding an administrative weight at the end of the command. Permanent –is an optional parameter that specifies that the route will not be removed, even if the interface shuts down. A default route is a special type of static route used for situations in which the route from a source to a destination is not known or when it is unfeasible for the routing table to store sufficient information about all the possible routes. The default route is also known as gateway of last resort.its only use on stub networks. After static routes are configured it is important to verify that they are present in the routing table and that routing is working as expected. The command show running-config is used to view the active configuration in RAM to verify that the static route was entered correctly. The show ip route command is used to make sure that the static route is present in the routing table. Dynamic Routing - Information is learned from other routers, and routing protocol adjust routes automatically. 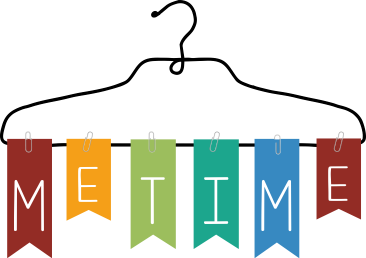 Dynamic routing is the process of using protocols to find and update routing tables on routers. The protocols used in dynamic routing are called routing protocols. A routing protocol is a network layer protocol that determines routing paths and maintains routing tables .It fills up routing table with valid, loopfree routes. Once the path is determined a router can route a Routed protocol. .It must be noted that: -as soon as the routing protocol determines a valid path between routers, the router can route a routed protocol. IGP- Exchange routing information within an autonomous system. 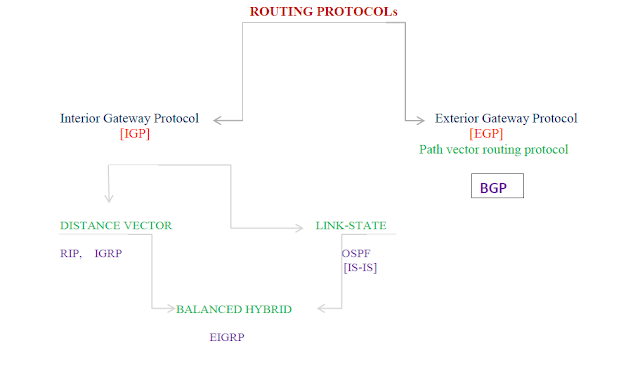 EGP- Exchange routing information between autonomous systems. Autonomous system- An Autonomous System –is a collection of networks under a common administrative domain. The Internet Assigned Numbers Authority (IANA) is the umbrella organization responsible for allocating autonomous system numbers. Administrative distances are used to rate the trustworthiness of routing information .And administrative distance is an integer from 0 to 255,where 0 is the most trusted and 255 means no traffic will be passed via this route. In nutshell, a routing protocol with a lower administrative distance has a more chances of being used.